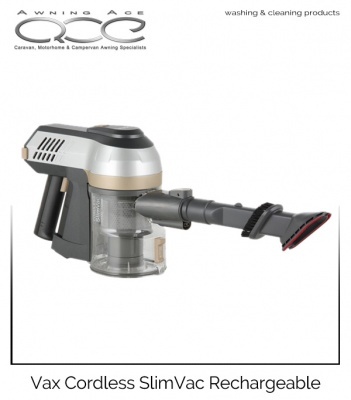 Designed to be the total home cleaning cordless vacuum cleaner, the Vax Cordless Slim Vac Total Home Cleaner is simply the most comprehensive caravan, motorhome, car and campervan vacuum cleaner around. This handheld model has amazing performance and handles almost any surface from carpets and upholstery to vinyl and worktops. 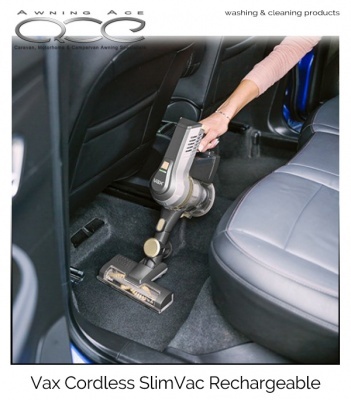 The Vax Cordless Slim Vac switches effortlessly between floor cleaning and handheld cleaning in seconds. Slim and sleek, the lightweight, compact design makes this model ideal for cleaning any motorhome, camper van, car, boat touring caravan and static caravan. The powerful 22.2v lithium battery has outstanding performance, delivering around 25 minutes of cleaning per charge. That's plenty to clean even the largest vehicle in a single charge. 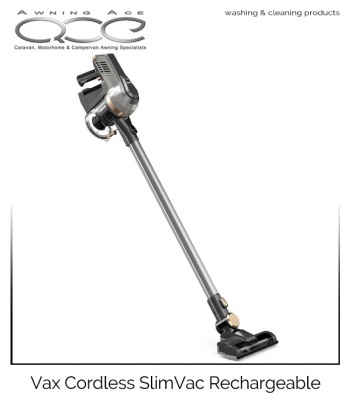 The powered foot head can be used on floors or attached directly to the handheld for hard to reach areas. 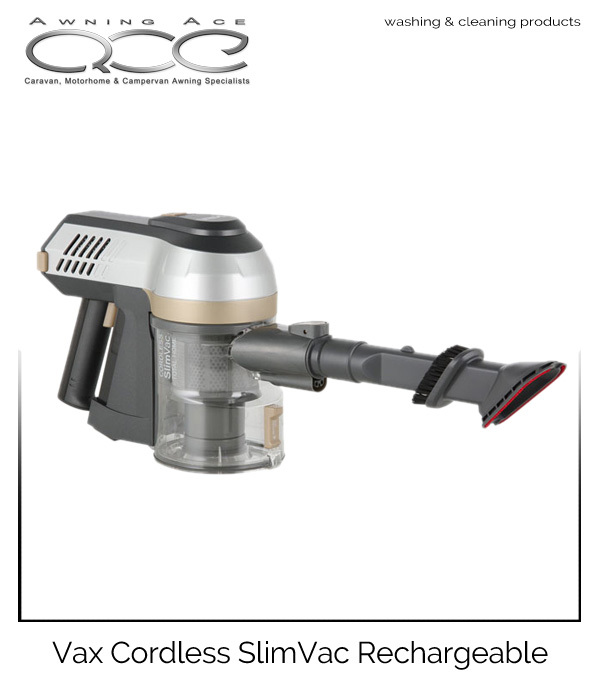 The Vax Cordless Slim Vax weighs only 2kg and has a large 0.6 litre dust capacity with variable power and low battery light indicator. With a flat to full charge time of around 5 hours, this cleaner is ready for any job around the house or on the move. The cleaner is charged from its own wall-mountable charging station making it ideal for the garage, shed or smallest cupboard.